Addis Ababa, 8 March, 2014 – Somali farmers have for the first time been able to supply high quality food to the UN’s World Food Program (WFP), providing supplies to be used to feed fellow countrymen. Farmers from South-central Somalia have sold 200 metric tons of high quality maize grain to WFP, which is to supply areas within the country that have inadequate food. This is a major breakthrough for the farmers, especially coming from an area that faced severe famine less than three years ago. In 2011, the United Nations declared that 4 million people in Somalia suffered food crisis, as the country suffered the worst drought to affect the East African region in 60 years. The farmers were supported by the European Union, Austria as well as the UN’s Food and Agriculture Organization (FAO) and World Food Programme (WFP). Under the program, the farmers were trained by experts from FAO and WFP on different aspects including grading their grain, post-harvest handling as well as storage and warehouse management. These skills have been essential in ensuring good quality for the grain that meets the international standards required for purchase by WFP. Luca Alinovi, FAO’s outgoing representative for Somalia says their focus was on improving the quality of the farming in Afgoye. “FAO is the organization that helped the farmers, the local institutions to improve their agriculture and FAO’s role was to make sure that the farmers get all the knowledge and capacity to strengthen their productive capacity in order to meet the standards that are required by WFP to purchase the food, which is very complicated, normally it takes several seasons. The beauty of this thing is that the farmers in Afgoye were so good that in one season we were able to produce as per the international standards, which is required by WFP for international purchase,” he says. For Somali’s Minister for Agriculture, Abdi Ahmed Mohamedthe revamping of the sector is significant to efforts aimed at reviving the economy, which has also been strained by decades of war. “Despite the 20 years of conflict in Somalia, the bread or the anjeera in the plates of the Somali people were produced by mainly from the Somalis. So farmers have been always engaged in the production. Our plan now is to revive the agricultural sector. Its recovery is not only a matter of producing agricultural products, it’s about recovering the whole economy and contributing to the stabilization and the peace,” he notes. The farmers’ aspirations are not only to feed their fellow countrymen but also to be a major grain supplier for the region. Musa Musa, a farmer from Afgoye says they have capacity for massive production but need support for it to be marketed extensively. 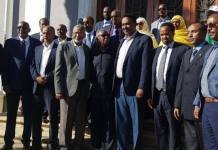 “They told us, we are very glad, most of the maize we were bringing to Somalia from abroad, we will stop and then we will take your maize for the people of Somalia. And even the people of East Africa if possible. We can produce so much maize and many other grains if we get help. The only help which we need is to get market for our maize. We can produce the maize in any quantity they need,” he says. 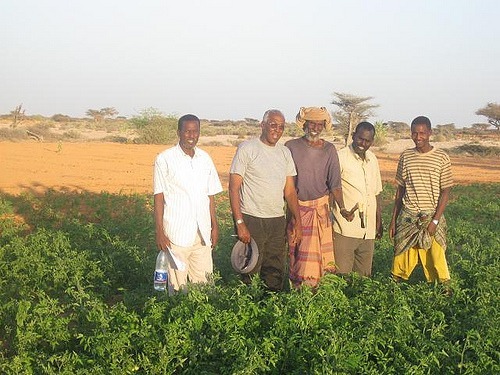 Farming in Somalia, like other sectors has been greatly affected by the conflict, stretching over 2 decades, bringing all activity to a halt while the police suffered severe famine.